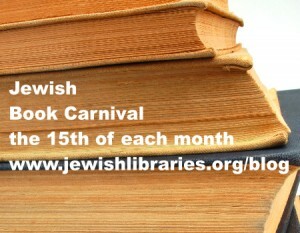 Welcome to the Jewish Book Carnival for the month of November, 2012! "The series is a monthly event where book bloggers who promote Jewish literature come together to share some of their best content from the past month. Each month the round-up of posts can be found on a different Jewish literary blog, so be sure to check out Jewish Book Carnival HQ for future (and past!) hosts (and posts!)." This month we've got some great links for you. We hope you'll join the conversation by sharing and commenting on the blog posts represented here! David Levy at JewishBoston.com sent in this interview with Anna Solomon, author of The Lobster Mafia Story. This "trayf" short story is being distributed all over town for The Boston Book Festival! 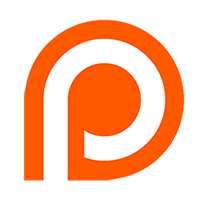 A download link for the story itself is included. Erika Dreifus at My Machberet writes about The Curse of Gurs: Way Station to Auschwitz, by Werner L. Frank, which combines genealogy and history in an account of Jews from the Baden area of Germany. *By the way, Erika will host December's Jewish Book Carnival and will also be the Association of Jewish Libraries' Facebook Writer-in-Residence during the month of December! Jonathan Kirsch at JewishJournal.com sent in his review of Legacy: A Genetic History of the Jewish People, which describes the sometimes controversial study of whether "we carry Jewishness in our blood." Ann Koffsky at AnnKoffsky.com offers two links, one fun and one serious. For fun, she sent in this rainy day coloring page for the kids, accompanied by a Hebrew prayer for the wind and rain. On a more serious note, she sent in an audio interview in which she and Rabbi Savitsky at the Orthodox Union discuss the conspicuous absence of women in Jewish publications. Barbara Krasner at The Whole Megillah gives us this interview with award-winning nonfiction author Deborah Heiligman about her first novel, Intentions. Linda K. Wertheimer's blog post is called "Slurping Kitten Teaches Children About Forgiveness." It's a reflection on teaching the concepts of Yom Kippur to preschoolers, in this case using Sadie Rose Weilerstein's K'tonton stories. Sports is Like Hollywood: They're Both Jewish! Thanks to all the bloggers who submitted links and to all you readers who are about to enjoy these posts! If you'd like to be a part of the Jewish Book Carnival in December, send your link to Erika Dreifus, who will be hosting at her blog My Machberet. Thanks, Heidi-- I enjoyed reading those interesting links!